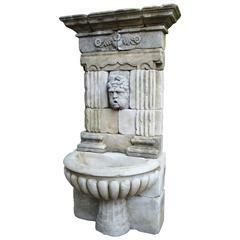 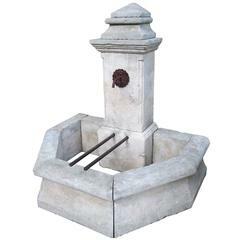 Here we offer a large two-spouted, hand carved limestone wall fountain. 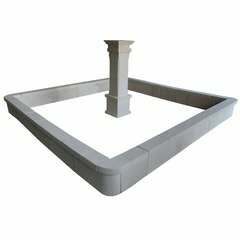 This piece has very straight lines and can add to any design. 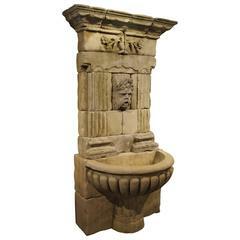 Origin: France Measurements: 60 1/4" H x 146" W x 46 1/4" D.